This contemporary two drawer lateral file from Regency features interchangeable locks. 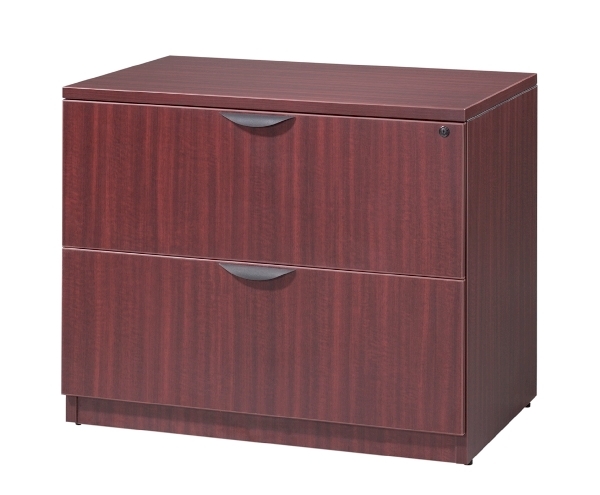 Includes ergonomic drawer pulls and made with matching 33 mm PVC edges and 1" thick thermally fused laminate. 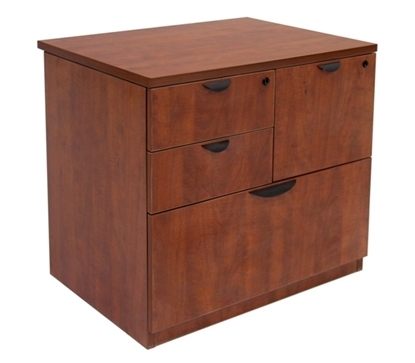 From Regency, this combo file cabinet offers storage drawers and a lateral file drawer at the bottom. Contemporary in style, it provides additional storage in your private office or in a conference room.